"YoYummy was started by three guys with a very basic philosophy in mind: create a healthy, responsibly-made yogurt that tastes great and is affordable! YoYummy and Green Mountain Creamery strive to support their local dairy economy and community, using only Vermont cow milk from the Commonwealth Dairy. As a company, they are also committed to environmental sustainability and package all of their products using BPA-free materials. YoYummy yogurts are available in four delicious flavors: Mixed Berry, Strawberry Banana, Strawberry, and Cotton Candy. YoYummy yogurt is made with Grade-A rBST-free Vermont milk, is a good source of calcium, and is rich in vitamin A and D. It has 10 percent less sugar than the leading national brand kids’ yogurt. Real fruits and berries add just enough natural sugar to YoYummy yogurt to make it taste sweet. YoYummy is free of high fructose corn syrup, artificial sweeteners, additives, and preservatives. YoYummy is naturally gluten free. YoYummy is available at Wegman’s, Costco, Hannaford, Stew Leonard’s, Fresh & Easy, and Sprout’s Farmer Markets. The retail price for YoYummy is $4.99 for a 4-pack, $9.99 for a 12-pack, and $1.29 for single pouches." What we thought: The kiddos LOVED these yogurt pouches! They were not only tasty, but so convenient and made great snacks that I felt good about giving the kiddos. They come in yummy, kid-friendly flavors and they were definitely kid-approved in our house! You can't even tell that they have less sugar than other yogurt brands. In fact, my crew told me they liked YoYummy yogurt pouches BETTER than the other drinkable yogurts they've tried. YoYummy gets an A+ from ABCD Diaries! This week I am thankful for an amazing season of football! We are HUGE football fans around here and it just so happens that my favorite team has made it to the Super Bowl!! 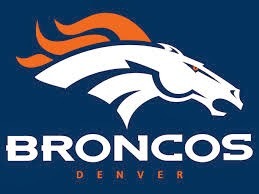 Go Broncos!! No matter the outcome of Sunday's game, we really enjoyed the past few months of football. What an entertaining season:) Already counting the days until next season! "Did you know 74% of Americans have a homemade soup recipe in the family? And that 44% also want to keep it a secret? Luckily, Snapware has a secret on soup we want to share just with you! This January, in honor of National Soup Month, the Snapware brand has teamed up with Chef Emeril Lagasse to celebrate all things soup! Snapware is giving Americans the chance to win weekly prizes and the grand prize trip to Orlando in the Snapware Winter Warm-Up Sweepstakes! About NEW Snapware® Total Solution® Food Storage: Delivering the versatility consumers seek, theSnapware® Total Solution® line offers innovative glass and plastic food storage options and features easy-to-open, four-latch, air-tight and leak-proof lids. Multi-purposed, the lids of similar shapes and sizes are interchangeable between Snapware plastic and glass vessels with color coded seals to help easily identify the size and shape of the lid. As this line features Pyrex® oven-safe glassware, consumers find solutions for taking meals from oven to table to refrigerator and beyond, perfect for use at home or on-the-go. • Limited lifetime warranty "
Celebrate the Super Bowl with Frank's RedHot + Giveaway! Tip: You may substitute 2 cups shredded cooked chicken. Slow Cooker Method: Combine ingredients as directed above. Place mixture into small slow cooker. Heat on HIGH setting for 1 ½ hours until hot and bubbly or on LOW setting for 2 ½ to 3 hours. Stir. Tip: You may substitute ½ cup FRANK’S® REDHOT® Sauce mixed with 1/3 cup melted butter for the Wings Sauce. Deep-fry at 375°F for 10 minutes. We recently reviewed the Pyramid Pan. 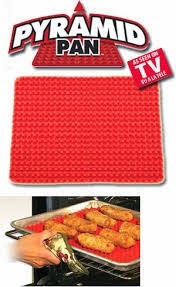 "This clever cooking mat, constructed with PBA-free, superior grade silicone (European grade) and topped with 556 mini pyramids that elevate cooking foods up and out of lakes of grease and fat….instead, the nonstick Pyramid Pan acts as a convection oven, allowing heated air to circulate under and around food keeping the texture and crispness intact or enhanced, but allowing foods to lock in juice while cooking evening — but directing and diverting extra fats and grease off and down via the pyramids — making for a cleaner, more efficient and effective cooking process — and simplifying cleanup. You'll find foods cook evenly with less need for turning and the mat easily accommodated higher oven settings (up to 425 degrees) This microwave or oven-safe tool is well-suited for fresh or frozen meals. The flexible, dishwasher-safe Pyramid Pan mat rolls up tightly for easy storage. Fits inside standard baking sheets and jelly roll pans." ARV: $20 and can be found at Bed, Bath and Beyond, Meijer's, RiteAide, Kroger, CVS and many other retailers. What we thought: The first task for our Pyramid Pan was tater tots. They baked up brown and crispy all around and were delicious. We also used the pan for bacon and it worked really well to catch the drippings and keep the bacon from soaking up all that extra fat. I'm excited about using this pan for egg rolls since ours always seem to either stick or get soggy on the the bottom. I was a little concerned on how easy it would be to clean the Pyramid Pan, but was pleasantly surprised to find clean up was easy peasy. This pan would be great to help you follow through on that New's Years resolution to cut back on the amount of fat in your foods and would be a really helpful tool for any baked goods at your upcoming Super Bowl shindigs. ABCD Diaries gives the Pyramid Pan an A+! We are fortunate enough here in Texas to have pretty mild winters, (don't worry we make up for it with our triple digit summers that last May-October:) but every once in a while we'll get a cold snap that leaves us with cold feet. This happened just this past week and my Heat Holders Thermal Socks came to the rescue! These socks are so cozy and soft and they do a really great job of keeping my feet toasty and warm. Plus, these socks come in a variety of cute colors and styles. The only downside of the socks I reviewed was that I couldn't wear them with my regular tennis shoes because they are pretty thick. However, they fit fine with boots and were great for wearing around the house. ABCD Diaries gives Heat Holders Thermal Socks an A+! 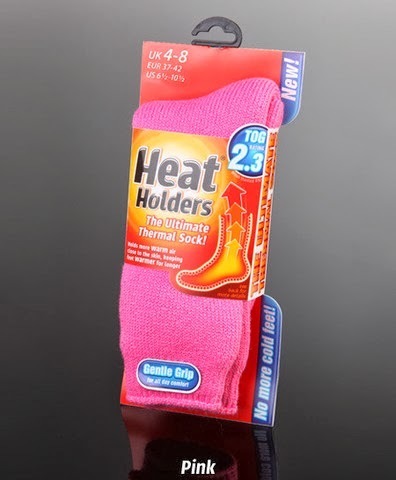 Check out Heat Holders Thermal Socks! Lucky us to have such a talented photographer in the family who is generous with her time and does these pictures every year for us at no charge! We are truly blessed! We were delighted to have the chance recently to try out several delicious sauces from Lee Kum Kee. We try to have some type of Asian cuisine at least once a week. Since we're cooking for 2 kiddos who don't like spicy foods and two adults who love spicy foods, we always use Sriracha Chili Sauce to add flavor and heat to our dishes after serving them up. 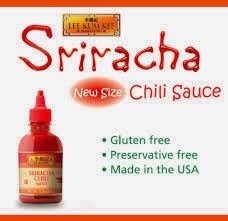 The Sriracha Chili Sauce from Lee Kum Kee was fantastic and did the job! It's so versatile, too! You can use it to add spice to dips, dressings, and marinades, as well as use it as a condiment. 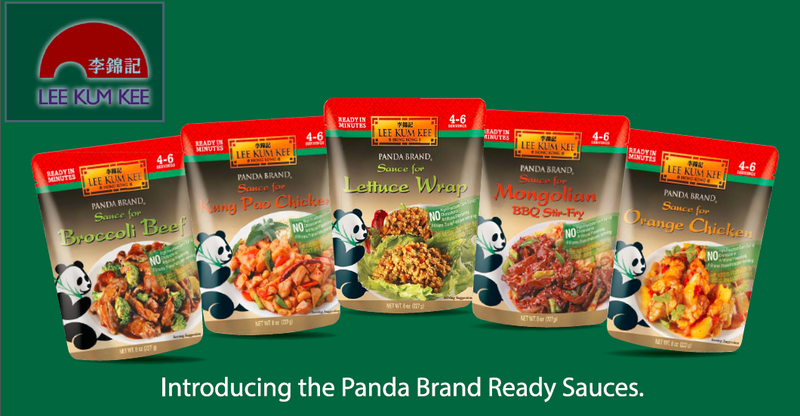 Our favorite products from Lee Kum Kee were the Panda Brand Ready Sauces. We specifically tried the Broccoli Beef and Kung Pao Chicken varieties and were really pleased with the results. They were so easy to prepare...just add sauce to meat and veggies and serve over rice and voila! They really take the guesswork out of preparing specialty sauces and they taste great! ABCD Diaries gives Lee Kum Kee products an A+! 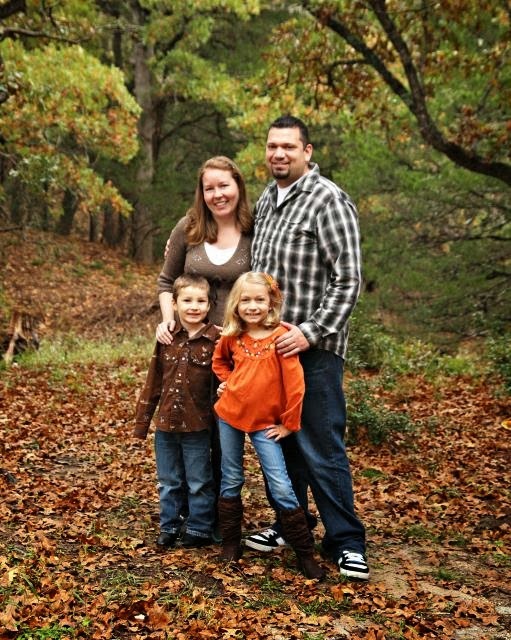 Thanks to Chex and MyBlogSpark, we recently had a fun movie night with Minion Munch Chex Mix! 1. In large microwaveable bowl, measure cereals and peanuts. 3. Microwave uncovered on High about 3 minutes, stirring every minute, until mixture is glazed. Cool 5 minutes. Stir in dried bananas and candies. Spread on waxed paper to cool. Store in airtight container. What we thought: We had a blast at our Chex Mix Minion Party! The kiddos really enjoyed using the Minion Munch Chex Party Mix recipe to whip up a batch of yummy snack mix to munch on while we watched Despicable Me 2. What a fun family movie night! 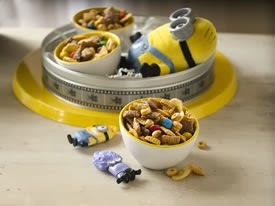 Gather your family around a bowl of Minion Munch Chex Party Mix for family movie night and have fun! Males prefer vanilla, lavender and cake, while females prefer cotton. Vanilla is most popular for ages 18-24, lavender for 45-54, cotton for 35-44, cake for 35-44 and jasmine for 55-64. The Northeast prefers vanilla, while the Midwest prefers lavender and the South prefers cotton. Another fun fact about feelings and scent? About 66% of women who took the survey said they'd use a candle to cheer them up! Would you? What better way to cheer yourself up than with a hug? And, in lieu of a hug, a candle scented to remind you of one, no matter which scent you choose, and Glade® has a vast assortment of options no matter what scent you would choose." 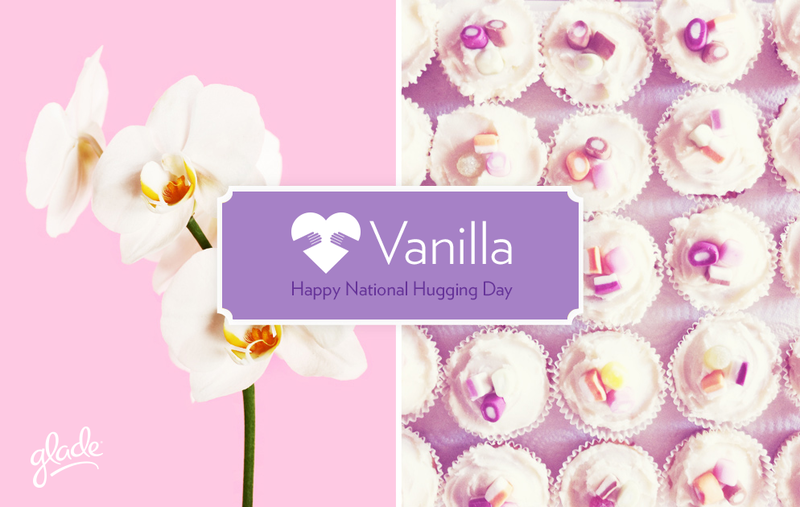 Don't forget to spread the love with some hugs today! Disclosure: This information was provided by Glade. We were in no way compensated for this post. This week I have been feeling under the weather so school has been a little lacking. One thing I love about homeschooling is that when someone isn't feeling 100%, you can put traditional learning on hold until they are feeling better. This is especially helpful when it's the teacher who's sick:) This week I am thankful for Netflix. We can always find fun and educational programs on Netflix, which makes for great impromptu lesson that everyone can enjoy cozied up on the couch together:) We are truly blessed! This week I'm thankful for wonderful in-laws who spoil our kiddos rotten and are even willing to take them to the park on chilly winter days:) We are truly blessed! 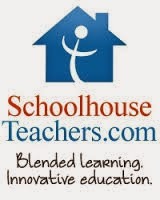 We were recently given the wonderful opportunity to review SchoolhouseTeachers.com, a fantastic online resource for homeschoolers. We are currently using the Yearly Membership Option which is an amazing value at only $139 per year! 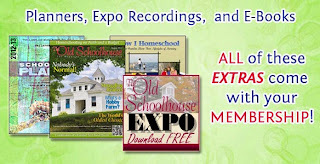 SchoolhouseTeachers.com is a treasure trove of lessons that are made up by educators which makes the job of the homeschooling mom (or dad:) so much easier. These lessons cover over 50 subjects and span grade levels from Pre-K to high school. New lessons and teachers are added each month. The teachers are highly qualified and I feel confident using their lessons as part of our curriculum. Many of the lessons can be used as full courses of study for each subject or you could just pick and choose lessons to supplement your current curriculum. One of the things I love about SchoolhouseTeachers.com is that it has classes that I don't feel competent enough to teach like second languages and musical instruments. The lessons are set up in a very user-friendly format so you can either teach from them or your student can do the lesson independently. I love that the Science lessons are based on experiments. We've been doing a lot of book work for Science, so this semester should be interesting with so many hands-on experiments! I've also been looking for an engaging world geography curriculum and I think "Asia: Safari" will be a great start in that subject for my young learners. This set of lessons covers a different country each week and looks really fantastic! It includes lessons on the geography, culture, vocabulary and science for each country and the kiddos are loving it so far. 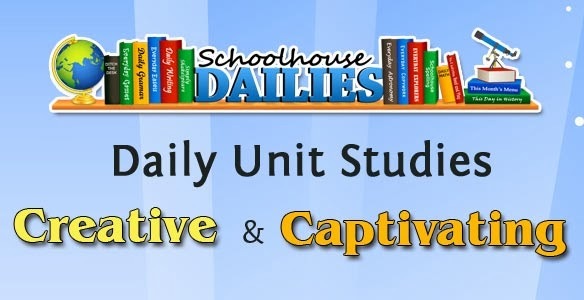 We also added a few extras from the "Dailies" section like "Ditch the Desk" lessons, which are fun unit studies designed to encourage hands-on learning which my kids LOVE! 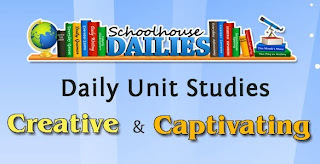 The Everyday Games section is a super fun way to add skill builder activities to our day. We're also excited about the "Figures in History" and "Everyday Explorers" lessons. Their are lessons for USA, Canada and Australia in the "Everyday Explorers" section and these lessons are so informative! For handwriting practice we will be utilizing the "Everyday Copywork" section. There are also lessons for spelling, grammar, astronomy and much more in the "Dailies" section. Other perks of joining SchoolhouseTeachers.com (as if you need any other incentive more than these wonderful lesson plans:) are access to The Old Schoolhouse Magazine online issues, a ton of homeschooling planners to choose from, free monthly eBooks, a membership to Applecore (an online homeschool tracking software) and more. 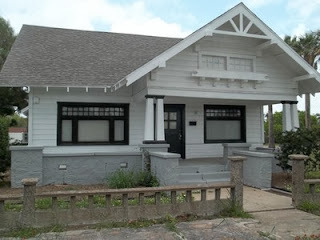 You can become a member of SchoolhouseTeachers.com for $3 for your first month, then $12.95 per month after that . You can save 10%, if you purchase a year-long membership for $139. In my opinion, it is well worth it! 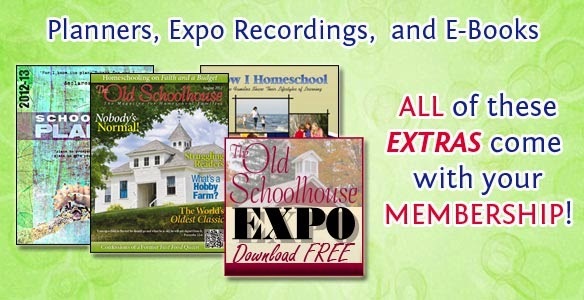 SchoolhouseTeachers.com gives you access to a variety of samples, so if this sounds like a program that might be a good fit for your family, check them out to get a better idea of what the website provides. What we thought: My kids LOVE music. They love listening to the newest music, however not all of these songs are as kid-friendly as I'd like them to be. That's why I love Kidz Bop! 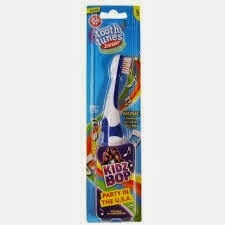 We were lucky enough to recently get to review Kidz Bop 24, Kidz Bop 25 and a Kidz Bop Tooth Tunes toothbrush. My kiddos were SO excited for this review! Even B and I can rock out to these fun CDs without getting annoyed which makes them great for the car:) These CDs make great gifts for the young ones in your life too. You never have to worry about explaining "grown-up" lyrics with Kidz Bop. 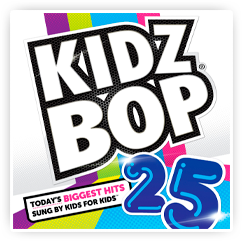 Kidz Bop 24 is available now and Kidz Bop 25 will be for sale starting January 14th. ABCD Diaries gives Kidz Bop and A+!